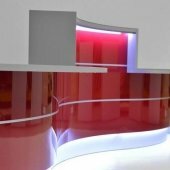 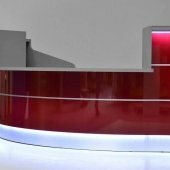 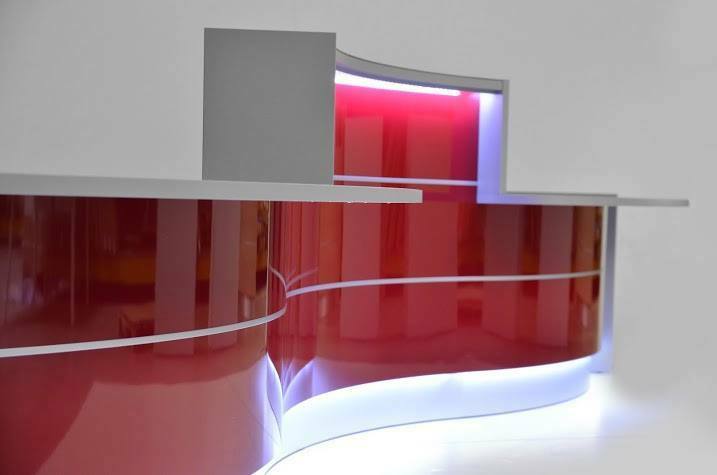 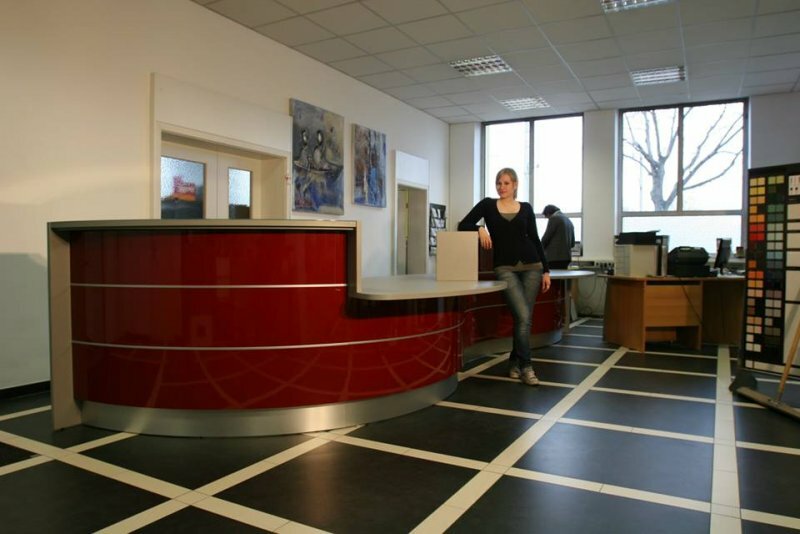 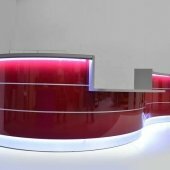 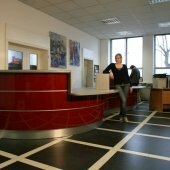 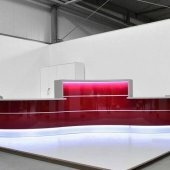 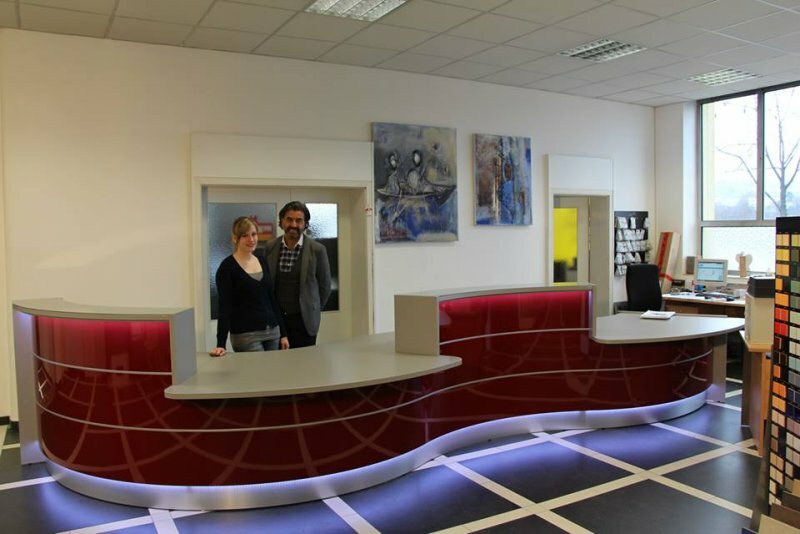 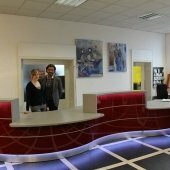 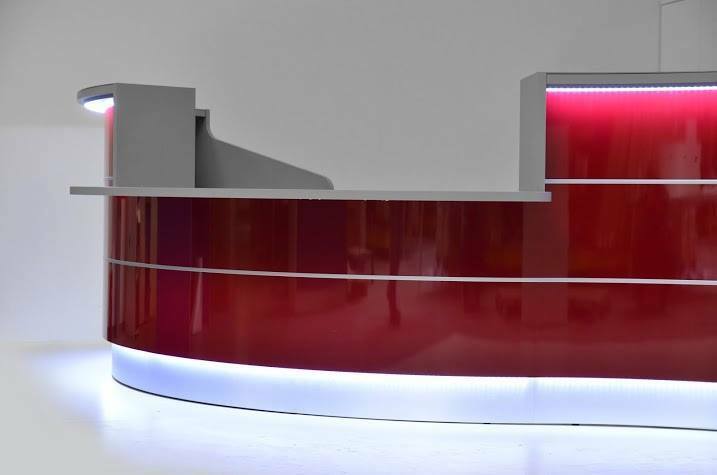 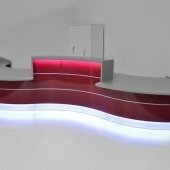 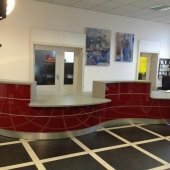 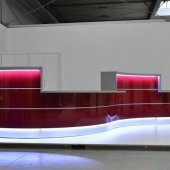 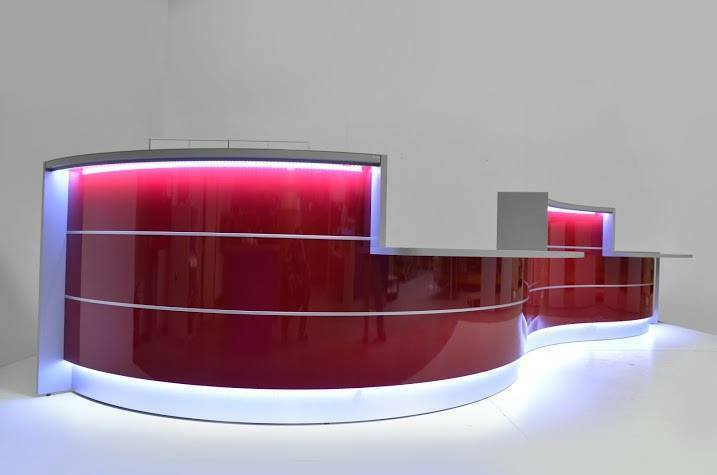 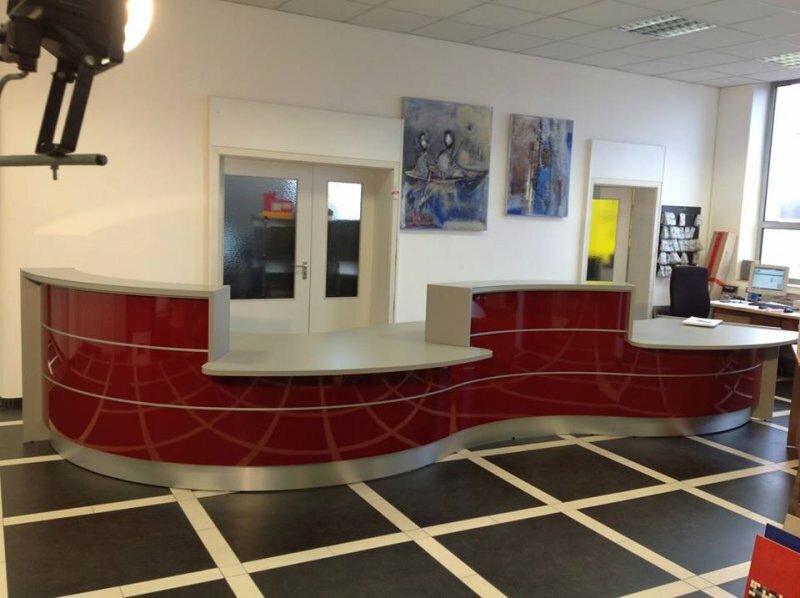 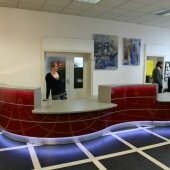 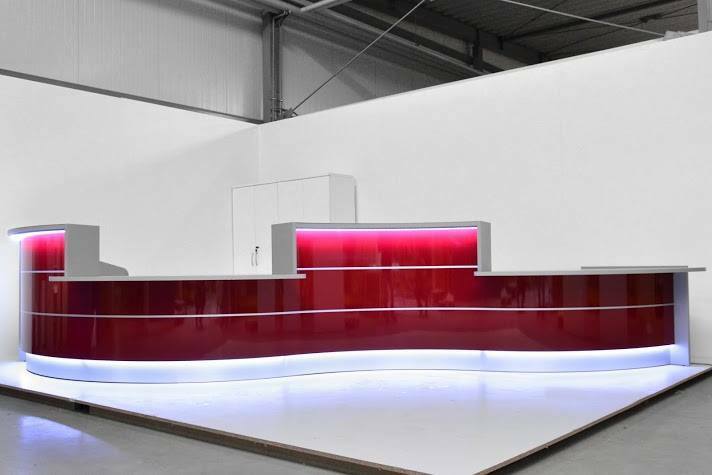 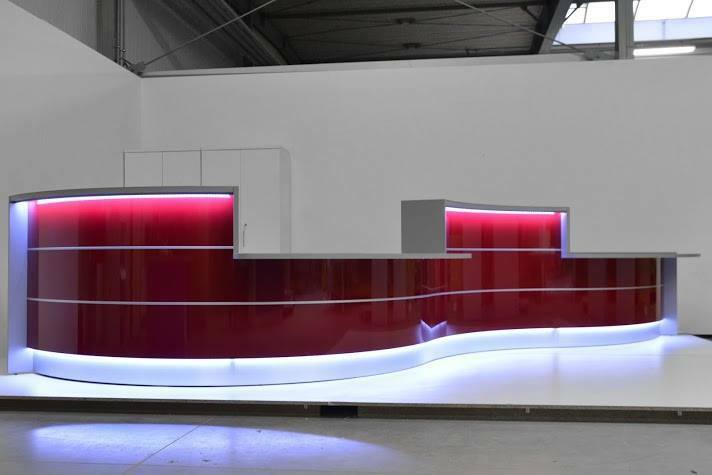 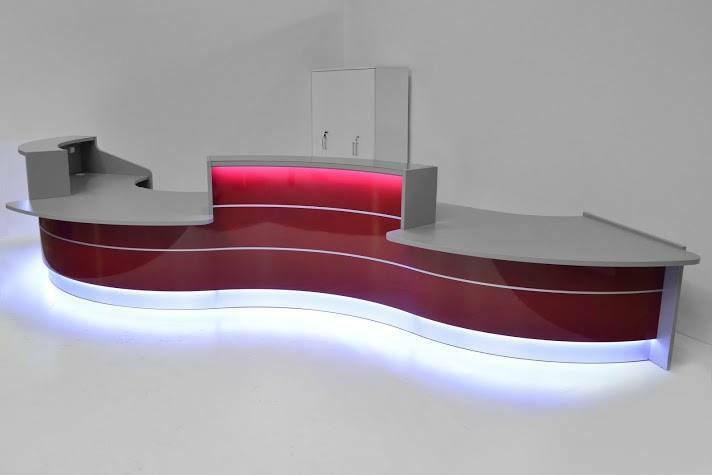 This wonderful glossy counterdesk was delivered and mounted in red with 2 LED lights aluminium plinth and glastop. 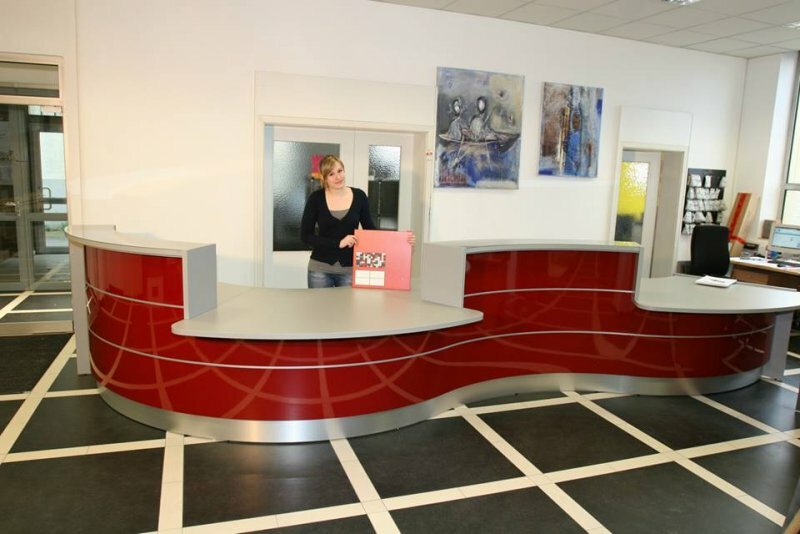 the shape speaks for itselfs. 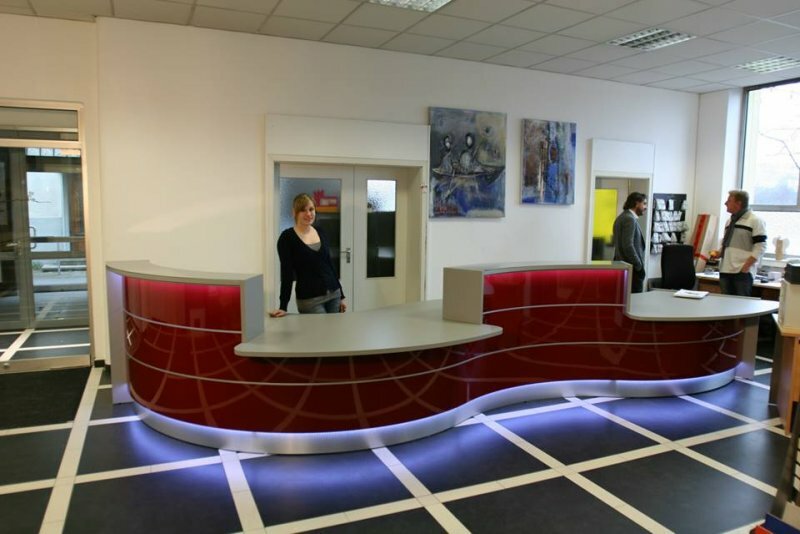 the two lower legs are to serve the customers.